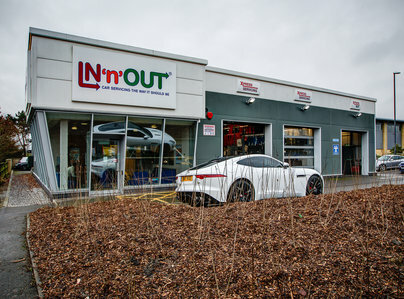 We have used In'n'Out many times and have always found them to be speedy in getting things fixed and sorted, even if they do not have the part in stock they generally can get it delivered within the hour and on your car shortly after that, and with the convenient location near the Mall/Cribbs Causeway, there is plenty to keep you occupied while waiting. 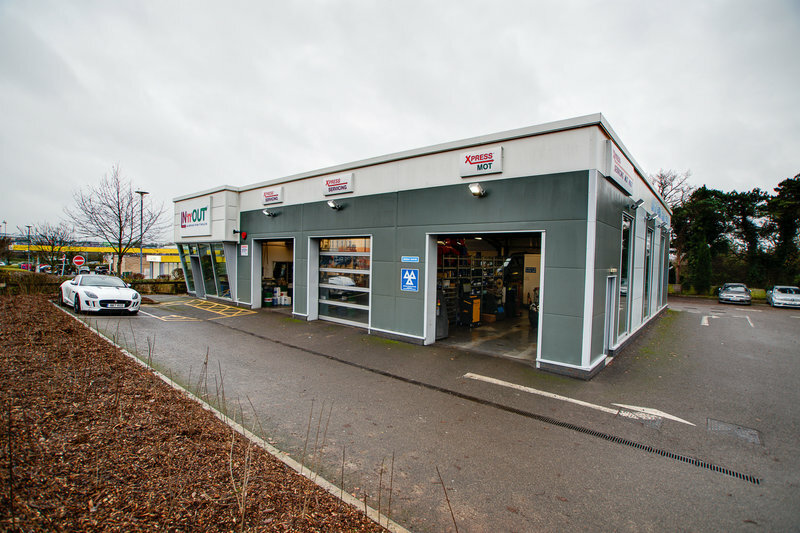 They are very trustworthy, only doing what needs to be done and letting you know there is more life in a part (like a tyre/brake etc) instead of getting you to spend more like some garages. The staff are always friendly and helpful, highly recommend! Fantastic customer service and quick service. 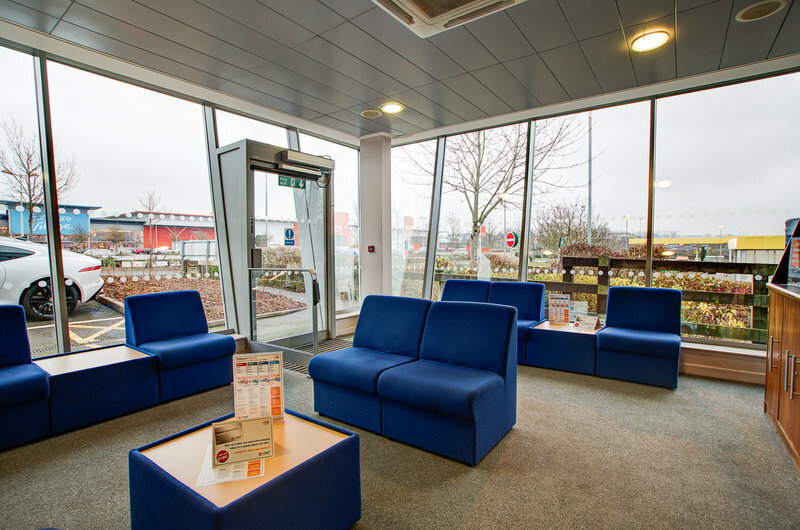 Everything done while you wait in a very comfortable waiting room with refreshment and free WiFi. Very good friendly staff did an excellent job in the allotted time at a very competitive price, will use again. Booking process very straightforward and allowed a clear selection of what you wanted and what it was going to cost. Service completed in a timely fashion and everything as agreed apart from ....... Upon collection I was advised that all I had to do was to pay £29.95 locally which I did not knowing the process of pre-paying on-line. It wasn't until I had chance to reflect and review the printed invoice that I realised I had been charged for a synthetic oil supplement - something that wasn't requested and expressly unchecked in the original order selection menu. Really disappointing that such a cheap trick was used to increase revenue .... thought these guys were better than that. In'N'Out Cribbs Causeway, Bristol - Highly Recommended. No cowboys here! 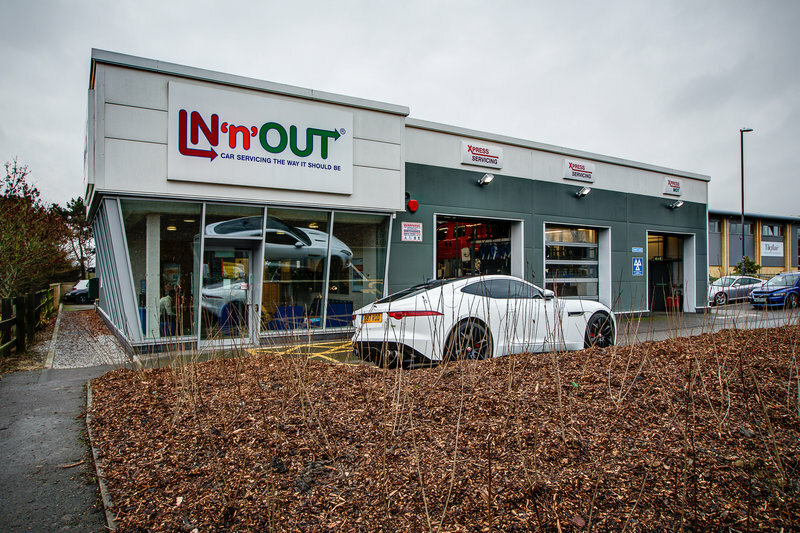 I have had quite a history with disreputable garages over the years across Wales and the south West of England, however In'n'Out Cribbs Causeway have been one of the most reliable and honest services I could possibly hope for. They will appropriately advise you on what's best for your car, rather than try to see how they can get more money out of you. Both myself and my partner will now only ever use In'n'Out for our car's MOT, and we have used them quite a few times now. The staff there are friendly, efficient, clearly know they're stuff and go above and beyond to help you out if they can. No dodgy dealings- like I've had with another local garage. Be warned of the other garages in the area, seriously!! Thank you so much In'n'Out Cribbs Causeway. 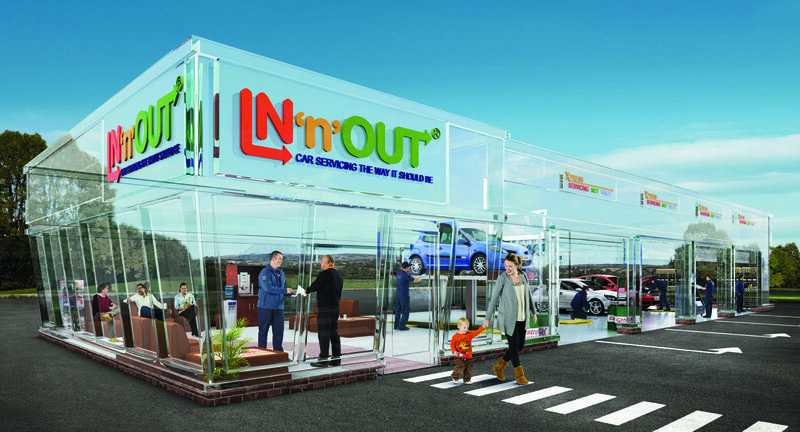 The only issue I've ever had has not been with the garage itself but the call centre and website for the In'n'Out company, who are sometimes slow to respond or won't always get back to answer your questions if you leave comments when you book online. That is the only reason I dropped a star for customer service. 5 star for the garage customer service though, who are always happy to help - I will just ring them directly next time. Hey Crystal, thank you for taking your time to share your positive experience with us. We are delighted to hear you had a 4 star visit after your recent visit to IN'n'OUT Autocentres, we will pass this feedback onto the centre team & support office team. We are always grateful for recommendations to friends and family too! Thanks, David. Professional and quick service for a good price. Good lounge to have a coffee and sit back and see your car getting serviced. Hey Agnelo, thank you for taking your time to share your positive experience with us. We are delighted to hear you had a 5 star visit after your recent visit to IN'n'OUT Autocentres, we will pass this feedback onto the centre team & support office team. We are always grateful for recommendations to friends and family too! Thanks, David. Very easy process and car was ready after an hour. The chap explained bits that needed doing in an easy to understand way and was very helpful. Will be back next year. Hi Steph, thank you for taking your time to share your positive experience with us. We are delighted to hear you enjoyed your recent visit to IN'n'OUT Autocentres and we will pass this onto the centre team & head office team. We are always grateful for recommendations to friends and family too! The IN’n’OUT Team.